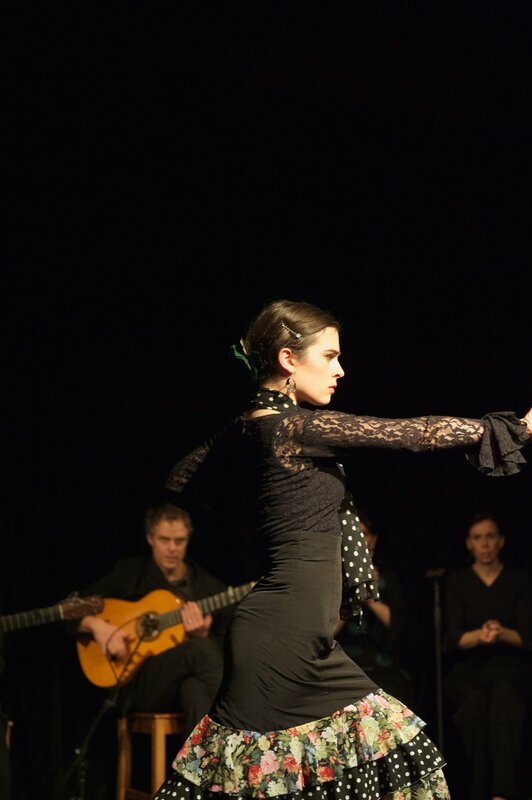 Emma has over two decades of experience as a flamenco dancer and her dancing radiates elegance and precision. Training in Sevilla and Madrid under flamenco masters such as Inmaculada Ortega, Manuela Rios, Manuel Betanzos and Angel Atienza she founded Studio Flamenco, with sister Susi Masi, in 2004. Since then she has performed in and co-directed the critically-acclaimed Paloma and Arte y Compas with Seville-based artists ‘La Chica’ and Andrej Vujicic and has appeared as an invited artist at WOMADelaide and the Adelaide International Guitar Festival. Susi is a flamenco dancer and teacher who has trained extensively in both Australia and Spain. She has performed in countless theatre productions and festivals, including WOMADelaide, the Adelaide International Guitar Festival, Adelaide Fringe Festival and Victorian Ventana festival. In 2004, she established Studio Flamenco with sister and fellow dancer, Emma Fernee where she continues to share her passion for flamenco. Together, and with international and Australian collaborators, they have created many independent theatre productions. Susi’s work has been described as “...rhythmically and technically impressive... powerful, sensuously aggressive and totally captivating” [Ausdance Magazine]. She has performed in collaborations with many international artists including recently with Seville-based Jazmin Centeno and Andrius Masilionis for the Adelaide Cabaret Fringe festival and has received many glowing review for her spirited and dynamic style. Yasmine is known for her wild, ecstatic style that is uniquely her own. She is equally at home dancing a fiery buleria fiesta as she is an elegant fan dance or a deeply profound siguiriya. Trained as a flamenco dancer, Yasmine has danced in theatres around the world; with Opera Australia at the Sydney Opera House, Adelaide Festival Theatre, in Taiwan, and with Fire of Anatolia (the Turkish equivalent of 'Riverdance') in Turkey, Belgium, and the United Arab Emirates. Yasmine began dancing flamenco at 17 with Liana Vargas, and performed in her company Teatro del Mundo. She co-founded Velada Flamenco in 2004, creating three shows, culminating in the critically-acclaimed flamenco dance theatre work, 'Museo del Grito' in 2007. Her contemporary flamenco show, 'Carmen', was a hit of the Adelaide Fringe 2010 and was selected for inclusion in the inaugural Sydney Fringe Festival program. 2017 saw Yasmine return to the Adelaide Fringe & the Adelaide Cabaret Fringe in 'Yasmina Intoxicada's World's End Cabaret'. Daniel is a talented young dancer who began his training with Studio Flamenco at the age of 7 after he was selected to appear with the Ballet Nacional de España in the 2004 Adelaide Festival of the Arts. He has gone on to study intensively in Spain and Australia with maestros such as Manuel Betanzos, Andres Peña, Paloma Gomez, Angel Atienza and Jose Maldonado. Daniel's performance credentials include 'Peña Flamenca' at the 2016 Adelaide Fringe, 'Flamenco Cabaret' presented as part of the 2014 Adelaide Cabaret Fringe Festival, 'Flamenco de Verano' and 'Tablao Flamenco' with guest flamenco singer from Spain Eva Pinero Mesa. For 5 years Daniel was a popular performer at Adelaide’s popular 'Tapas’ restaurant with Studio Flamenco and is loved by audiences for his amazing footwork and fresh, energetic style. Aloysius is a guitarist with a long running infatuation with flamenco. This led to spending time in Spain following the traditional apprenticeship of accompanying singers and dancers, studying with maestro's and playing at juergas (parties). Eventually he was able to work at the dance studios of Javier Cruz and Maria Angeles in Seville , and since coming back to Adelaide, Australia he has continued to work with local singers and dancers, including Studio Flamenco . Before this Aloysius had been playing guitar for 17 years. It was after studying classical guitar at the Elder Conservatorium in 1992 that he took up flamenco guitar and began his flamenco experience. 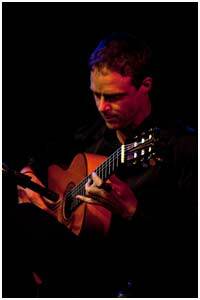 In 2005 he recently released his second CD Chispa Flamenca with the help of a grant from Arts SA. Marduk joined Studio Flamenco in 2010 following many years as a street performer and guitarist working other genres. Having studied flamenco guitar with both local and international artists he has dedicated himself to the art of flamenco. His performance credentials include theatre productions 'Zambra' and 'Fiesta' with Studio Flamenco as well as numerous events and functions. Highlights of his work have been accompanying flamenco dancer and singer, Isabel Rivera Cuenca from Barcelona, during her 2014 Australian tour, and presenting his own shows 'Pasos' and 'Vidorra' for the 2015 and 2016 Adelaide Cabaret Fringe Festivals. 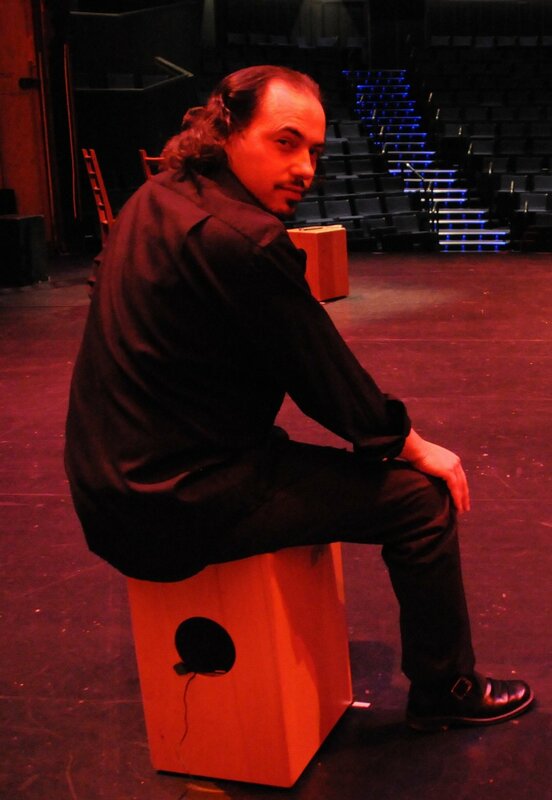 Adrian is an accomplished percussionist, specialising in cajón, tinaja and derbouka. Focusing on flamenco since 2002, he has performed in numerous festivals and theatre productions with Studio Flamenco and other flamenco companies Australia-wide. 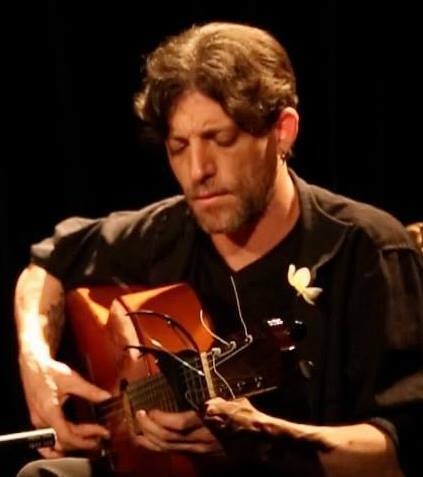 He has performed in four previous Adelaide International Guitar Festivals, with Studio Flamenco, guitarist Aloysius Leeson and in 2010 with Spanish guitarist Oscar Guzman and the world famous flamenco singer Pepe de Lucia. His other work includes performances in numerous Adelaide Fringe festivals, Sydney Fringe 2010, Bellingen Flamenco Festival 2003 and WOMADELAIDE. He has studied flamenco in Sevilla, accompanying the classes of flamenco icon ‘El Torombo’. Adrian was the principal percussionist on Aloysius Leeson’s CD, ‘Chispa Flamenca’, released in 2005. Paul ("Charger") began playing the flute at age seven. He studied classical flute at the Flinders Street School of Music, and jazz flute at Dover Gardens TAFE. Under Alison Rosser he earned his Advanced Diploma of Music, and Licentiate Music Australia in 1996 on the flute. In 1997 Paul began accompanying flamenco on flute, performing in Flamenco shows at the 1997, 2004, 2007, and 2010 Adelaide Fringe Festivals, as well as the 2004 Telstra Adelaide Festival and the 2002 Feast Festival. In 2005 he completed the Bachelor of Music Performance (Piano) at the Elder Conservatorium. In 2006 he performed the Bloch Concerto Grosso with the Elder Conservatorium Orchestra, and in early 2007 completed the Honours of Music Performance (Piano). He has played and toured with Veronica Vargas, Titi de Algeciras, Teatro del Mundo, Velada Flamenco and Studio Flamenco. Satoko studied classical ballet, jazz and Japanese traditional dancing for over 10 years before discovering her passion for flamenco in 2008 when she joined Studio Flamenco. Since then she has studied with various maestros including Manuel Betanzos, Andres Peña and Paloma Gómez, and in Sevilla with Angel Atienza, Rafael Campallo and Guadalupe Torres. She has performed in many of Studio Flamenco's productions, including 'Zambra' and 'Peña Flamenca' and in Marduk Flamenco's 'Pasos' and 'Vidorra' and her dancing exudes the grace, beauty and soulfulness of flamenco. Zoe is a graduate of both NIDA (National Institute of Dramatic Arts) and the Fundacion de Cristina Heeren (Sevilla) where she studied flamenco singing intensively. Zoe began dancing flamenco at a young age and performs as both a flamenco singer and dancer in her hometown of Sydney and around Australia. She regularly joins Studio Flamenco as a guest artist. Zoe performs with "zest and charisma" (Dance Informa Magazine) and she has been described as a "powerhouse" on stage (Glam Adelaide). Dancing since the age of four, Melissa studied classical ballet, contemporary and jazz dance before discovering her passion for Flamenco in 2010. Since then, she has studied with various Flamenco Maestros including Manuel Betanzos, Paloma Gomez, La Chica and Pilar Ogalla. Melissa has performed previously at Tapas on Hindley, Studio Flamenco Fiesta productions and in Recuerdos. PeiRu was drawn to the music of acclaimed flamenco guitarist, Vicente Amigo, in the early 90s. It was not until 5 years later that she encountered the dance aspect of the artform, while she was on a working holiday in Japan. Inspiration hit, and immediately upon returning home to Australia she decided to learn herself. She sought out and began studying with local Sydney dancers. Her early inflences include; Susana Menotte, Ana Otero, Elena Varga, Adriana Rodríguez and Tomás Arroquerro. PeiRu continued her journey, learning from maestros Antonio Vargas, Juana Amaya, Manuel Betanzos, Francesca Grima, Pepa Molina, Inmaculada Aguilar, Andrés Peña, Cristian Almodovar, Concha Jareno, Paloma Gómez, Maria Juncal, Angel Atienza, Alberto Selles, and La Moneta. PeiRu brings a light, elegant touch to her performances, with a simmering drama beneath. She has appeared previously in numerous local council festivals, at private functions and in professional shows as part of the Studio Flamenco Company. Gabi was drawn to Flamenco's passion, story, rhythm and colours. She began her flamenco dance journey at Studio Flamenco and since then has taken the opportunity to learn from visiting maestros Manuel Betanzos, Paloma Gomez, Francesca Grima and Angel Atienza. In 2016, Gabi travelled to Seville to attend the Flamenco Biennal, and train with dancers Vicky Barea and Marco Flores. Gabi brings her joyful, funky style to Studio Flamenco’s shows, appearing in 'NoMad' (Fringe 2017), in Studio Flamenco’s yearly Fiesta shows, ‘Recuerdos’ (Adelaide Fringe 2019 & Cabaret Fringe 2018), as well as many community festivals and events. MORE COMPANY MEMBER BIOS COMING SOON….